It’s what occupies our days. Pays the bills. Supports our families. Builds a stronger economy and a brighter future. But finding work- and locating skilled workers- isn’t always easy. WWDA helps job seekers and employers find each other. We help local economies anticipate their talent needs. We train people for the jobs of tomorrow. The WWDA brings together the leadership of the eleven regional workforce development areas (WDAs) in Wisconsin to develop and implement statewide workforce strategies, and build a stronger workforce for Wisconsin to ensure businesses continue to grow and thrive. 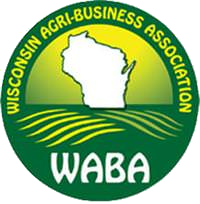 The WWDA membership drives and operationalizes the Governor’s strategic workforce plan. We ensure that the strategic priorities set by the Governor and his Council on Workforce Investment are carried forward locally. The Talent Development Council ensures that industry associations have a primary contact and direct access to Wisconsin’s Workforce Development Boards that operate in 11 different regions across Wisconsin. So no more run around on getting to the right contact when you need assistance. The WWDA understands Association member’s challenges in finding skilled workers. The Talent Development Council provides access to the training opportunities that are most critical to your interest and interact on public policy and potential changes to funding programs being implemented. The workforce development system trains, educates and provides social services to working-age individuals to enable them to succeed in the labor force and, at the same time, meet employers’ demand for quality talent. Community and faith-based organizations, trade associations, private sector employer, elected officials and financial institutions can play an important role in workforce development. There are eleven workforce boards in Wisconsin. We are always looking for individuals who want to engage with us. WWDA is a 501(c)3 organization. If you would like to make a donation to help keep Wisconsin WORKING we would gladly accept.